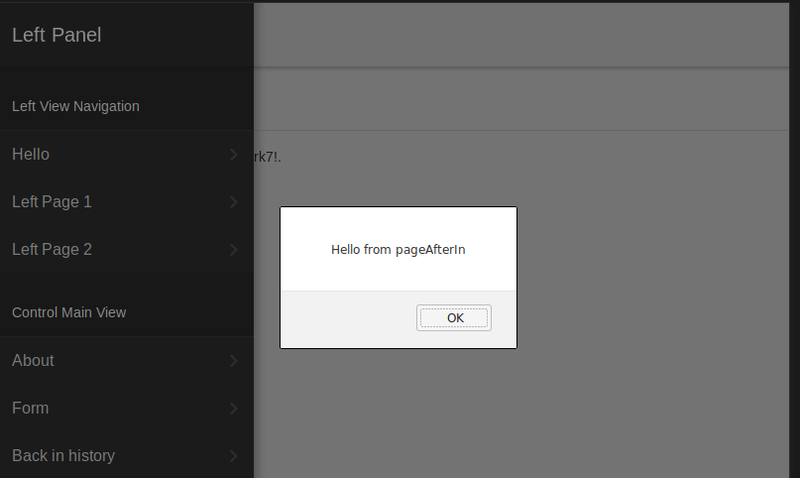 Hello, this is a mini-tutorial about how to add new pages via the routes system. Every page most be defined as a route in order for Framework7 to know what to do with it and how to find it. Routes are defined in a file called ‘routes.js’ (they can also be defined in other places, but for now lets stick to the defaults) and they are a list of routes with many options, this is the most basic configuration. The path is how you will access the page using links and other methods, the url is where the actual page is located in your application’s folder, it could be in other places as well. Third step: Lets give user’s a way to actually access the page. We’ll put a link in the index page, but again, this could be anywhere. 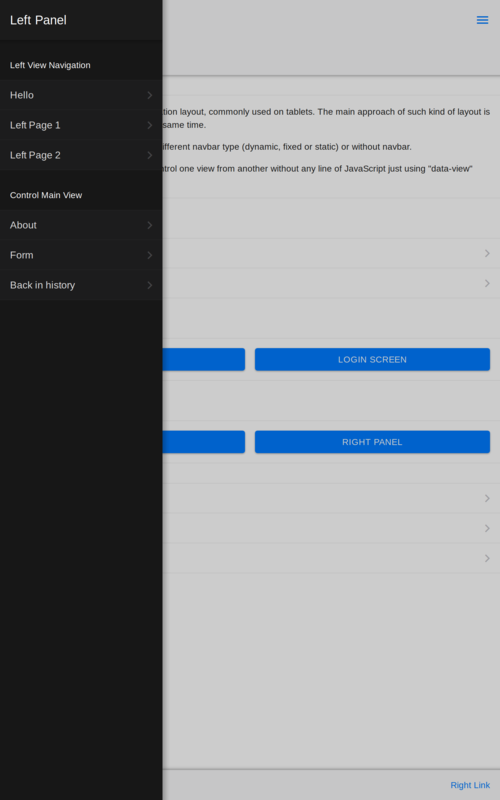 This is how it should look in your app, notice the menu entry that says ‘Hello’. And that is it. You may click on the new menu and see how it loads your new page. Now lets make it a bit more dynamic, we can do this directly in the routes file, you may see all the options in the documentation mentioned before. 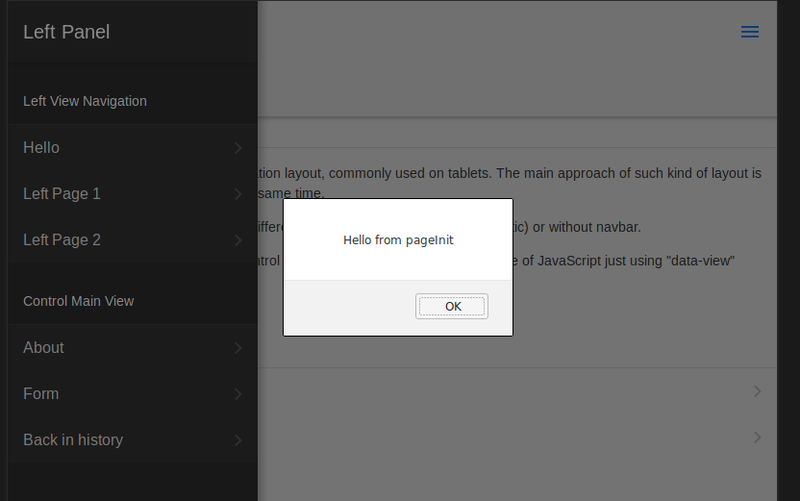 This are really good tools that will help you automate the process of presenting a new page in your app. If you need to fire up any kind of processes during initiation or unloading of a page, this is one way to do it. 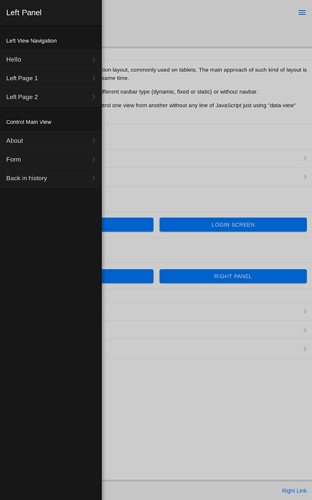 There are other kinds of pages with more dynamic content, we’ll see those in another tutorial.